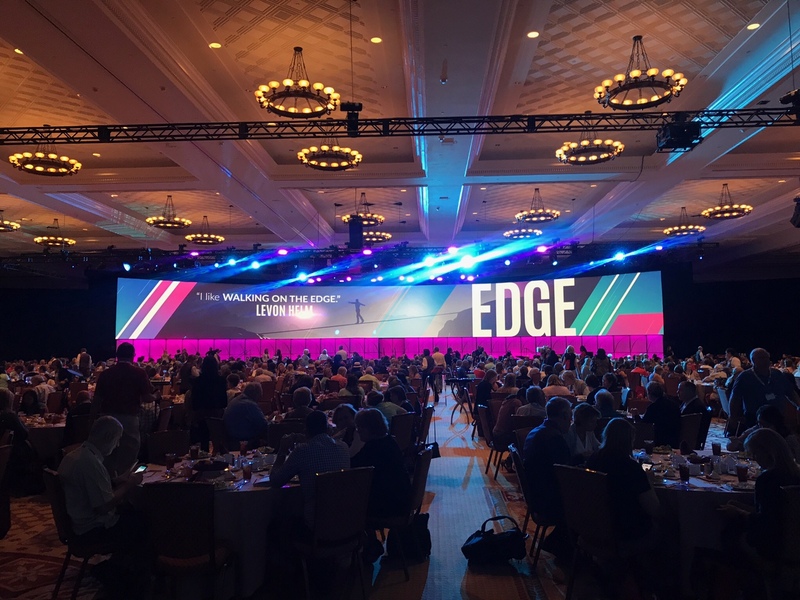 Las Vegas, NV (June 12, 2018) – More than 2,000 travel industry professionals from across the U.S. and Canada are gathering this week at Caesars Palace in Las Vegas for the annual international conference hosted by Travel Leaders Network, one of North America’s largest retail travel agency organizations. The five-day EDGE (Educate, Discover, Gather, Evolve) conference runs from June 12-16 and features scores of educational workshops and professional development sessions, technology showcases and captivating guest speakers. New this year is a Luxury Forum, where travel agents who are luxury specialists have the opportunity to meet one-on-one with luxury suppliers. Also new is the Hotel Marketplace, a specialty trade show where agents can interact with a huge array of hotel properties and gain in-depth knowledge on their features and latest offerings. More than 200 workshops during the conference range from topics such as marketing honeymoons and destination weddings, selling active and adventure travel, and making money selling air travel, to targeted advertising strategies for social media, effective management and leadership, and organizing successful consumer events. Among the guest speakers is Tony Hsieh, CEO of Zappos, who will deliver the conference keynote, as well as motivational guru Stuart L. Cohen, and sales, marketing and business author Mike Marchev. Several supplier forums during the conference will focus on topics ranging from evolving group sales through multi-generational/family travel, selling within the romance market, and tools for business and corporate travel sales, among many others. Forum panelists will feature executives from tour operator companies, travel insurance providers, cruise lines, airlines, hotels and others. The sold-out trade show will feature nearly 200 exhibitors spanning a wide array of companies ranging from cruise lines, hotels, rental car and transportation companies to tourism boards, visitors bureaus and tour operators. The entertainment highlight of the conference will be a special performance of select songs from Beautiful: The Carole King Musical, the Tony and Grammy-award winning musical based on the true story of composer and singer-songwriter Carole King. Additionally, all conference attendees will be treated to a spectacular off-site evening event taking place at the Park Theater, a stunning, three-level venue within the recently unveiled MGM Park Resort.